Many modern storage environments are making use of carton flow racks. This clever form of racking places storage onto channels with wheels which gradually move objects from loading bays to retrieval bays on the opposite side. It’s an ideal system for operations that divide processes physically as one team can complete processing on a carton or good before loading it onto a gravity flow rack; once the object reaches the other side, it is ready for the next team to begin another phase of production or packing. FIFO storage systems are excellent for efficient storage operations that utilize multiple units of the same product. There’s no need to expose all stored units to aisle space or loading bays when you only require one at a time. With gravity flow racking, units are constantly pushed to retrieval bays ready for collection. As a result, FIFO allows for a much higher storage density. It saves on excessive aisle space by compressing storage together and allowing for a high number of goods to fit in a comparatively small area. This is a great advantage when working with discrete processing operations. For example, in a shipping operation, one group might pack goods while the next team attaches shipping labels. 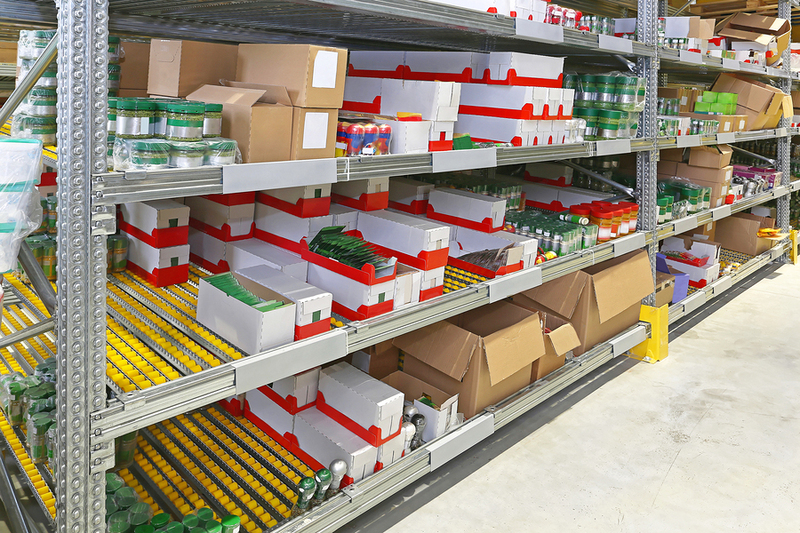 By using gravity flow racks, good can be moved almost like a conveyor belt between the teams, avoiding any confusion about which goods are packed or unpacked. Unlike a conveyor belt, goods are conveniently situated ready for retrieval in bays. It’s also possible to arrange the bays differently to accommodate a variety of item sizes or types, further enhancing the organization. As with all the best racking options, gravity flow racking is customizable and scalable for many different purposes. You can find a carton flow rack for sale online that caters to cartons of all different sizes, including variation within individual bays. Furthermore, it’s possible to change the angle of the racking for faster flow or a gentler slope to prevent risk of fragile goods. It’s even possible to use gravity flow racking for larger goods and pallets, helping to divide forklift operations in warehouses, improving congestion and safety. Flow channels essentially replace the need for decking, allowing for wheels which leave holes similar to mesh decking. This is a huge advantage for visibility, in order to gain a clear idea of racking capacity. It also enhances safety by allowing the flow of sprinkler water in case of a fire. Solid decking lacks this advantage and could lead to unnecessary damage to stock and added risk to personnel. Gravity flow racking is a suitable solution in hot and cold environments, and particularly warehouses associated with the food industry. FIFO systems promote efficiency in the use of perishable goods.